Thermoform garden pots are perfect for potting your flowers and vegetables. drainage. The thermoform pots are durable and can be used year after year. The perfect pot to use in greenhouse growing. 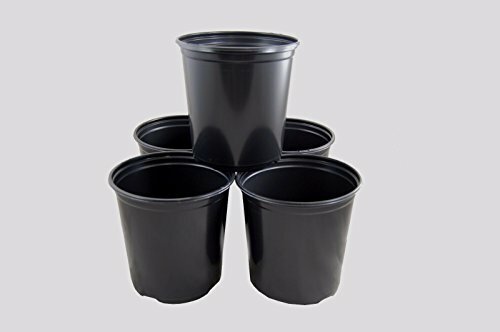 One gallon black garden pots. Inner liner protects the roots. If you have any questions about this product by Flower Pots, contact us by completing and submitting the form below. If you are looking for a specif part number, please include it with your message.